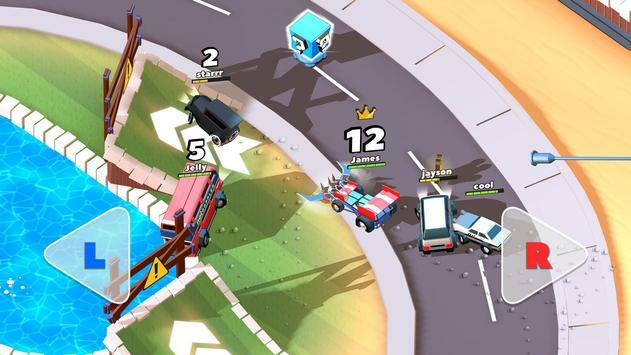 Welcome to Crash of Cars, a REALTIME MULTIPLAYER game where your goal is to collect as many crowns as possible before getting destroyed. Collect powerups, destroy other players, steal their crowns, and climb the leaderboards! 16 Upgradable PowerUps, including a flamethrower, cannon, trebuchet, and more. From the publishers of Earn to Die. 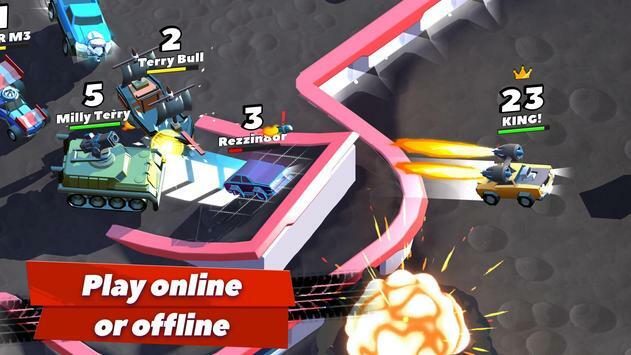 If you enjoy .io style online multiplayer games or fastpaced PVP action, be sure to download now! WRITE/READ_EXTERNAL_STORAGE is required to share animated GIF replays and load/display some ads in game (Crash of Cars is an adsupported game). 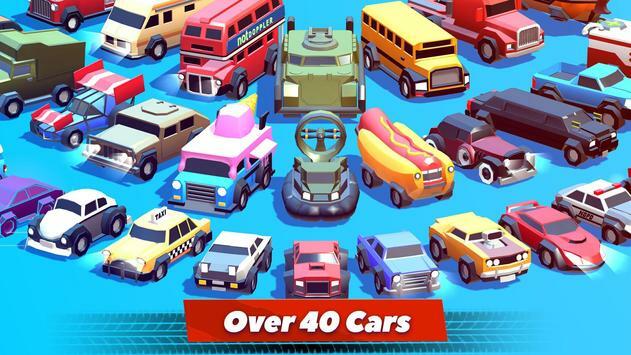 Please review Crash of Cars Game and submit your comments below. We will collect all comments in an effort to determine whether the Crash of Cars app is reliable, perform as expected and deliver the promised features and functionalities.